Silva CI, Churg A, Muller NL. AJR Am J Roentgenol. 2007 ;188:334-44. Hansell DM, Wells AU, Padley SP, Muller NL. Glazer CS, Rose CS, Lynch DA. 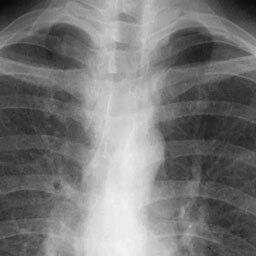 Clinical and radiologic manifestations of hypersensitivity pneumonitis. J Thorac Imaging. 2002 ;17:261-272. Patel RA, Sellami D, Gotway MB, et al. Hypersensitivity pneumonitis: patterns on high-resolution CT.
J Comput Assist Tomogr. 2000 ;24:965-970. Lynch DA, Newell JD, Logan PM, et al. 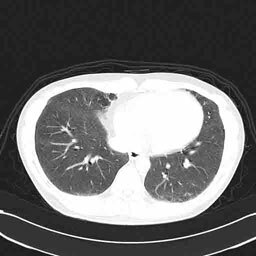 Can CT distinguish hypersensitivity pneumonitis from idiopathic pulmonary fibrosis? AJR Am J Roentgenol. 1995 ;165):807-811. Lynch DA, Rose CS, Way D, King TE Jr.
Hypersensitivity pneumonitis: sensitivity of high-resolution CT in a population-based study. AJR Am J Roentgenol. 1992 ;159:469-472. Akira M, Kita N, Higashihara T, et al. 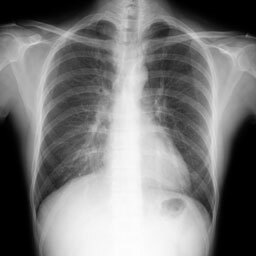 Summer-type hypersensitivity pneumonitis: comparison of high-resolution CT and plain radiographic findings. AJR Am J Roentgenol. 1992 ;158:1223-8. Silver SF, Muller NL, Miller RR, et al. Silva CI, Muller NL, Lynch DA, et al. Chronic hypersensitivity pneumonitis: differentiation from idiopathic pulmonary fibrosis and nonspecific interstitial pneumonia by using thin-section CT.
Sahin H, Brown KK, Curran-Everett D, et al. 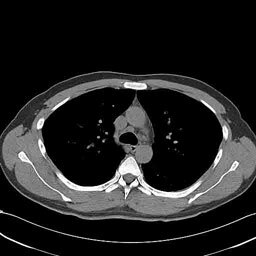 Chronic hypersensitivity pneumonitis: CT features comparison with pathologic evidence of fibrosis and survival. Adler BD,Padley SP,Muller NL,et al. 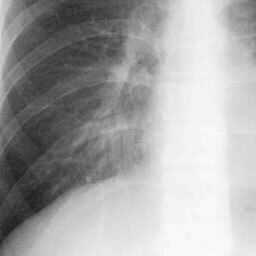 Chronic hypersensitivity pneumonitis: high-resolution CT and radiographic features in 16 patients. Buschman DL,Gamsu G,Waldron JA Jr,et al. 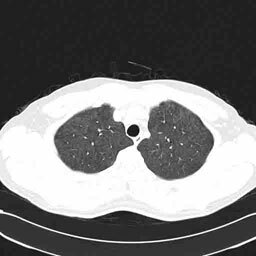 Chronic hypersensitivity pneumonitis: use of CT in diagnosis. AJR Am J Roentgenol. 1992 ;159:957-960. Thin-section CT of the secondary pulmonary lobule: anatomy and the image–the 2004 Fleischner lecture. Radiology. 2006 ;239:322-38. Epub 2006 Mar 16.